The C23244 Bivicon was a 1-1/2inch vidicon containing two separate guns and targets within a single envelope. 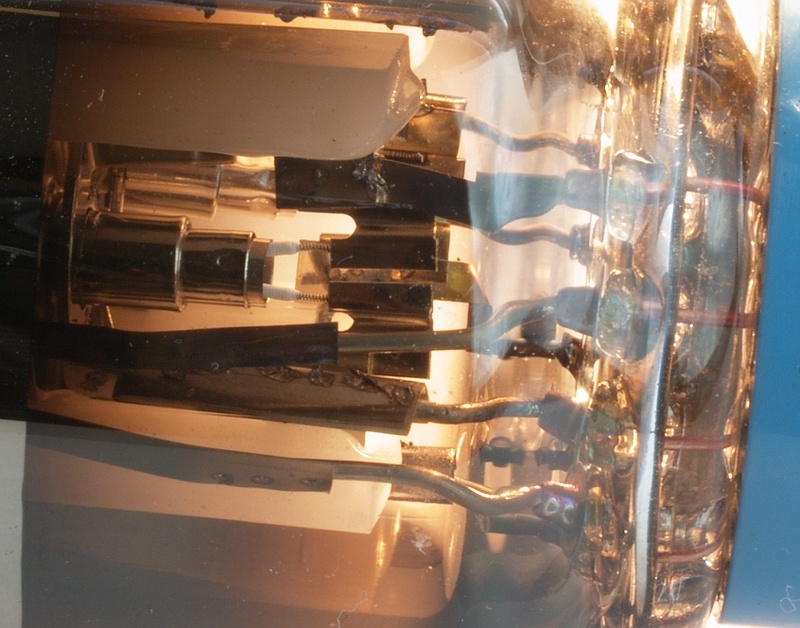 The tube had been designed to allow simultaneous scanning of two side-by-side (or over/under) images within a single deflection/focus structure. Possible uses include electro-optic comparators, two-raster color and, perhaps, stereo video. The Bivicon was particularly well suited for generating color signals utilizing a two-frame system in which the luminance portion of the picture is projected onto one target and the chrominance information, in suitably encoded form, onto the other. Excellent color pictures have been produced from a laser-illuminated holographic film with electronic encoding, and a color film and transparencies using optical encoding within the camera. Developed in 1972, this tube never got into production. It was designed to be in RCA's system of playing back a color image recorded in a hologram. RCA dropped the project when video tapes became practical. 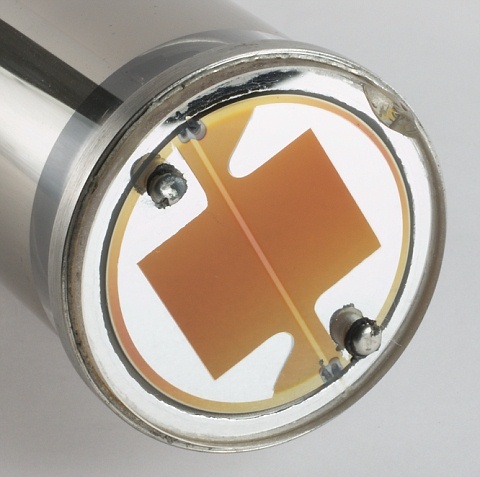 The output signals are provided from two small metal contact buttons on the tube's faceplate. Field mesh contact is made through the faceplate flange. 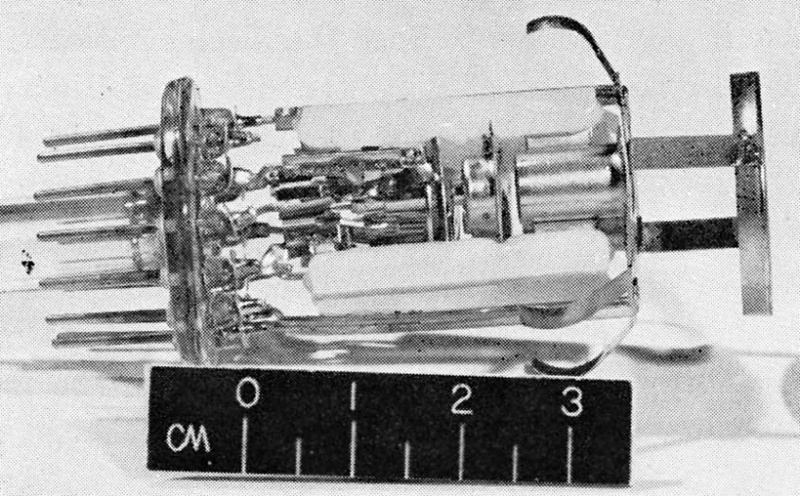 Other electrical connections are brought out through the tube base.